Our Canadian immigration and refugee lawyers have many years of experience in representing clients before the Immigration Appeal Division (‘IAD’). We assist our clients in complex matters relating to residency obligations, removal orders, and Family Class sponsorship. We carefully review the facts of your individual case to prepare the best strategy on how to proceed with your appeal before the IAD. In some circumstances, you may be deemed not to have a right to an appeal. There are several reasons as to why someone cannot appeal their case to the IAD, such as being alleged to be a national security threat, alleged to have violated human or international rights, or being suspected to have been part of an organized criminal syndicate. In such cases, our skilled immigration and refugee lawyers will work with you to determine how we can best present your matter on a case-by-case basis. Gerami Law PC will prepare you for your hearing process. Given that the hearings are open to members of the public, such preparation is essential for the ability to answer questions. We will make strong arguments for your case during the oral hearings, and will prepare you in the event that the Ministers’ counsel from the Canada Border Services Agency are present, as they may provide evidence or cross-examine you. Gerami Law PC will help you understand that documentary evidence such as telephone bills, photographs, letters, airline tickets, money orders/deposit slips, photographs, videocassettes, receipts for gifts and bank statements are very important in supporting you to win your appeal. We will also ensure that you adhere to the required timelines for submitting these documents to the IAD. Gerami Law PC prepares witnesses to answer questions at your hearing. Your witnesses will receive proper guidance on how to meet the timelines for providing necessary witness information to the Immigration Appeal Division and the Minister's counsel. Gerami Law PC will also handle your expert reports and ensure that the reports contain all necessary information. If your witness is outside Canada, we will make proper arrangements for them to testify at the appeal hearing by telephone. We will work with you to ensure that your witness can be reached by telephone during the hearing. In appropriate cases, Gerami Law PC will discuss the option of Alternative Dispute Resolution (ADR) with you. During this process, we will assist you in your dialogues with the Minister’s representative, or a Canada Border Services Agency representative. 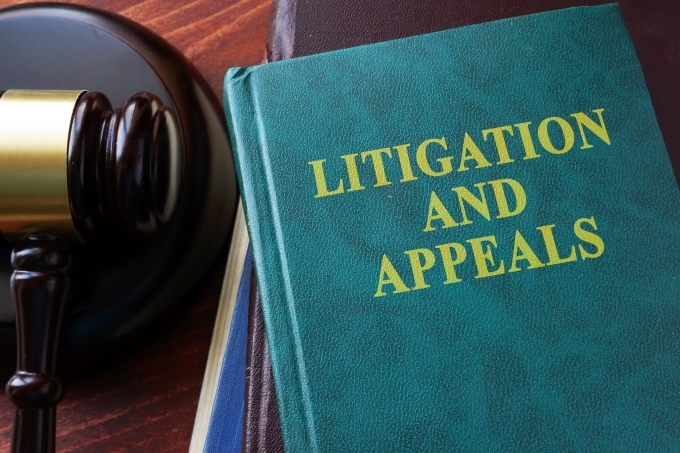 In most appeal matters, ADR can shorten the appeal process, minimize the costs, and provide an opportunity to resolve your appeal immediately after receiving a negative decision. We encourage you to consider ADR in particular matters such as rejection of a permanent residency application, as it is a chance to openly discuss your case, tell your story, and engage in discussion with a representative of the Minister. Gerami Law PC’s experienced representatives are helpful at this stage as they can address the important issues in order to expand the opportunity for the application to be resolved favourably.